$21.00 This item is selling for $21.00 on eBay. Cub Cadet Model No. 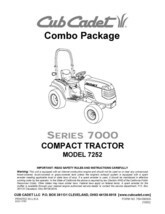 7252 Lawn Tractor COMBO Package !!! SAVE!!! This C.D. Covers almost every manual available for this model. 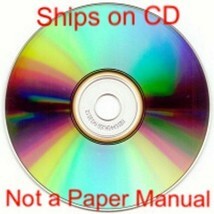 Manuals Included are: A) Operators Manual B) Service Manual C) Parts Manual 1) Suspension Seat Model No. 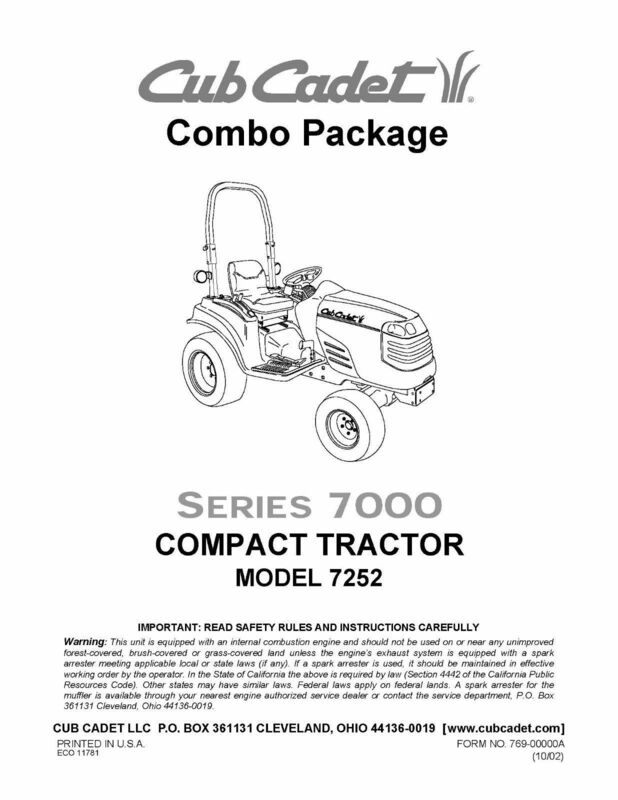 590-491-100 2) Front End Loader Model No. 590-610-100 3) Backhoe Model No. 590-612-100 4) 54" Mower Deck Model No. 590-613-100 5) 60" Mower Deck Model No. 590-614-100 6) 54" Snow Thrower Model No. 590-619-100 7) 48" Box Scrapper Model No. 590-627-100 8) 60" Front Dozer Blade Model No. 590-615-100 9) Hydraulic Valve Kit Model No. 590-620-100 10) Sub Frame Kit Model No. 590-621-100 11) Angle Kit Front Hitch Model No. 590-623-100 12) PTO Kit Front Model No. 590-624-100 13) Hydraulic Valve Kit Model No. 590-625-100 14) 60" Rear Blade Model No. 590-626-100 15) Post Hole Auger Model No. 590-628-100 16) 60" Rotary Tiller Model No. 590-660-100 17) 72" Rotary Tiller Model No. 590-662-100 18) 72" Rotary Tiller Model No. 590-820-100 19) 48" Rotary Cutter Model No. 590-630-100 20) 60" Finisher Mower Model No. 590-631-100 21) 60" Landscape Rake Model No. 590-632-100 22) Deluxe Suspension Seat Model No. 590-491-100 23) Front Weight Bracket 24) Bumper Model No. 590-490-100 MANUAL WILL SHIP ON A CD , THIS IS NOT A PAPER MANUAL Thanks for Looking! !